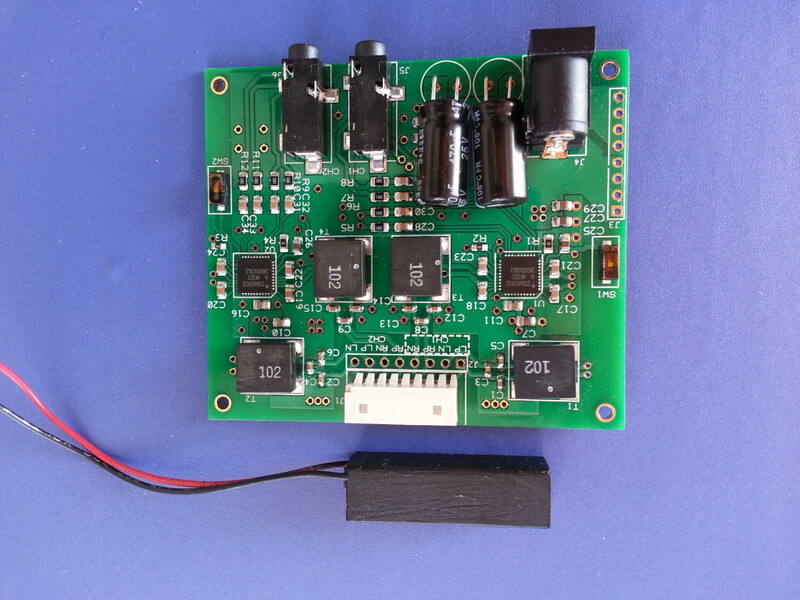 Multi-channels amplifier to drive maximum 4 Haputators individually. Each channel can output up to 10W derived from the input audio signal. Size of PCB is 70 mm length and 60 mm width.